Bodegas J. Chivite is one of the finest Navarra bodegas and by far the oldest, with the original winery having been established in the town of Cintruénigo in 1637. One of the world’s few producers who pre-date the establishment of Berry Bros. & Rudd, Bodegas Chivite have been producing wine through 11 generations. This most historic of estates has become one of Spain’s most important and highly respected producers. Today it is still family-owned and run. 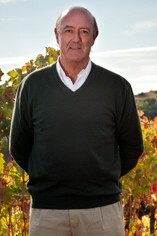 Don Julian Chivite, who died in 1996, was the spiritual father of the present-day company and was instrumental in opening up export markets for Navarra wines. Today it is run by his children, Julian, Carlos, Fernando, and Mercedes, who represent the 10th generation of Chivites. The reputation was furthered in 1967 when Julián Chivite became a founder member of the Regulatory Council of the Denominación de Origen Navarra, and is built upon a peerless understanding of the local terroir and its affinity to a panoply of international grape varieties. Chivite continue to produce wonderful, age-worthy wines which are tremendously popular around the world, often where one sees their reputation precede them. The firm has over 300 hectares of vineyards planted with Tempranillo, Garnacha, Cabernet Sauvignon, Merlot and Chardonnay. A wide range of wines is produced with pride of place going to the Coleccióne range. The Colección 125 Blanco is one of the finest new-wave Spanish whites on the market today, while its red counterpart is also keenly sought out by collectors and connoisseurs alike. This is a powerhouse! 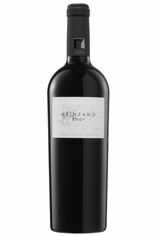 With layer after layer of rich, ripe black cherry, damson and blueberry fruit, it is bold and intense with masses of glorious cassis concentration. This is an unreserved and incredibly thick-textured wine that seems to improves with every sip. Drink 2014-2020+.